This is something I wrote on another blog several months ago before the Fall 2013 semester began. I wanted to share it with you now in retrospect with the Culturally Responsive Classroom pilot project halfway completed. I also wanted to add a little more on what I have learned since the original posting. In the past couple weeks at Institutional Effectiveness at Kirkwood, we have been focusing more on the culture of our department and the culture of our community college. This conveniently runs parallel with the cultural competency project that I am co-developing with a team of faculty, staff, and an outside consultant. 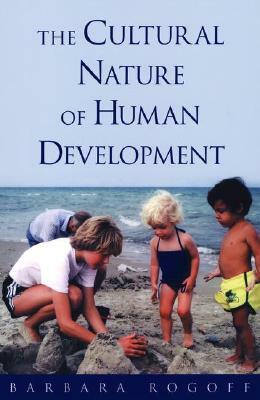 With most of the curriculum set, I started reading more in depth The Cultural Nature of Human Development by Barbara Rogoff, published about a decade ago. I began reading it to connect my dissertation research with my approach to parenting, but I found it to be more relevant to the project I’m working on here at Kirkwood. This week I’ve been closely reading Chapters 6 & 7 because I may be able to use some of the ideas for the Culturally Responsive Classroom project. These ideas challenge the status quo of a type of lockstep teaching and thinking that teachers can find themselves in because of the culture of the institution and the repetitive nature of their practices. This lockstep mentality arises because it offers the path of least resistance. And although this may make teaching easier, it may not make learning easier, better, or more successful. One of our goals is to free teachers from the shackles they believe the institution or teaching places on them. One idea is how certain people and cultures view the importance of cooperation and competition in a learning environment. Rogoff argues that middle class European American children are not skilled in cooperation as their peers in other cultural groups are (p.227). As a PhD candidate in education, I see a lot of effort trying to close this gap by promoting more collaborative work among classmates. However, our assessment practices are still based on individual performance. Rogoff illustrates that more middle class European American parents and teachers reward or value attention seeking behaviors than their peers in other cultures (p.231). This has helped me to rethink assessment, especially if collaborative efforts were valued more than individual efforts. The greatest challenge to this perspective is we would have to rethink “cheating.” Rogoff touches upon this a little in the next chapter when she mentions that in some cultures, “not to employ a companion’s assistance may be regarded as folly or egoism” (p.248). I’m stretching a bit here, but we teach our students to rely on technology and books to answer questions but not so much on their peers. Although understanding one’s own individual performance is helpful, we should understand that our performance in a group is more telling of our most people’s work. I’m writing a bit beyond my area of expertise here, but this is where I stand now. Chapter 7 in Rogoff’s book discusses cultural interpretations of intelligence. The most thought provoking piece in that chapter deals with selfishness. Selfishness is seen in many cultures as a lack of intelligence. For example, if you use your cleverness for purely selfish gain than you are not intelligent. According to many people with this perspective, high intelligence is shown when a person uses intelligence to benefit the community. I cannot help but think of America’s current political and economic problems and how other cultures may view them as a result of a lack of intelligence in those who make decisions. One reason I believe American culture excludes selfishness or selflessness in intelligence is that it adds more complexity to measurement. Intelligence is already difficult, if not, impossible to measure. So if you throw in selflessness, the measurement may become even more questionable. With this perspective, you can say that it takes a community to assess one’s intelligence, but then we move away from empirical data because we can ask about the reliability of that community. Indeed, one of my favorite words from this chapter is “nzelu,” which means wisdom, cleverness, and responsibility in Zambia (p.250) and is not applicable for people who use intelligence for selfish purposes. I’d like to close with one of my favorite sentences from Chapter 6, “In schools, and other formal and informal institutions, children learn not only the ‘curriculum,’ but also the ways of relating to each other and to adults that the structure of the institution embodies.” At Kirkwood Community College, our faculty are receiving students how have already learned how to relate to others in their previous schools and in their workplace. And as our student body grows more diverse, it becomes more difficult for our faculty to understand where they are coming from. The danger lies in assuming that their backgrounds are similar enough or believing that the differences are defined through overgeneralizations about their background. Just yesterday, I learned about a book that also addresses multiple perspectives on the concept of cheating. The book is The Shadow Scholar by Dave Tomar, and I’m very interested in reading this. So many ideas regarding assessment and instruction arise when cheating is challenged. I wonder how many faculty believe that the problems with cheating are not caused by students from certain backgrounds but instead of the failure of the instructor, course, school, or system to adequately assess learning from students of all backgrounds.